In order to assess the environmental exposure from chemicals in various media, you must know the rate at which a chemical will degrade. Handbook of Environmental Degradation Rates saves you the time and money collecting and evaluating this important information. The Handbook provides rate constant and half-life ranges for various processes and combines them into ranges for different media (air, groundwater, surface water, soils), which can be directly entered into various models. Some of the processes the Handbook includes are aerobic and anaerobic biodegradation, direct photolysis, hydrolysis, and reaction with various oxidants or free radicals (e.g., hydroxyl radical and ozone in the atmosphere). Experimental data are used and cited when available, and validated estimation methods are used when no experimental data are available. 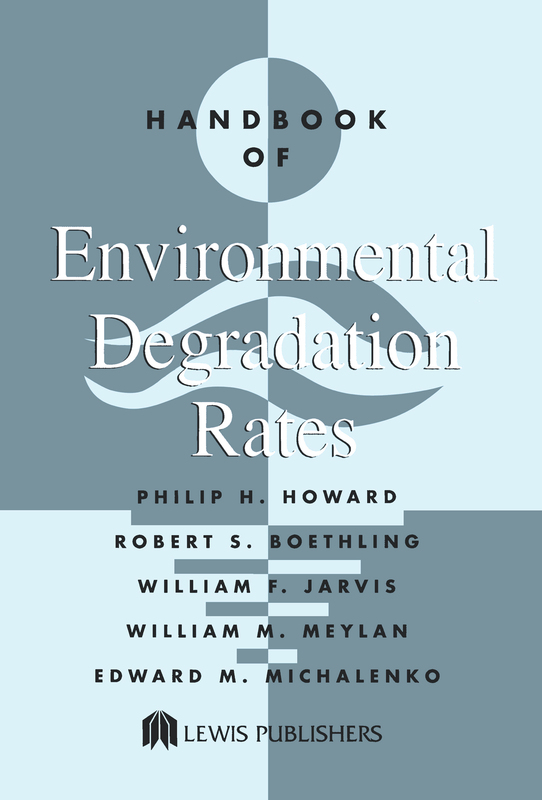 Researched and organized by leading experts, Handbook of Environmental Degradation Rates is easy-to-use and is well indexed by chemical name and CAS Number. Introduction. Chemical Fate Rate Constants. CAS Registry Number Index. Chemical Name Index. References.